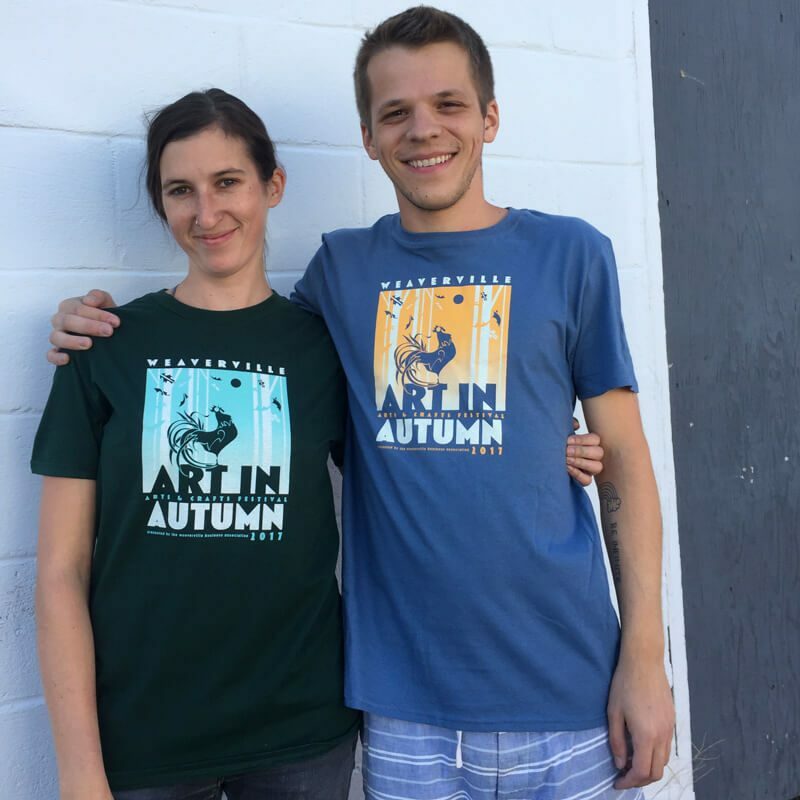 Art in Autumn t-shirts and posters featuring this year’s logo will be on sale during the festival. 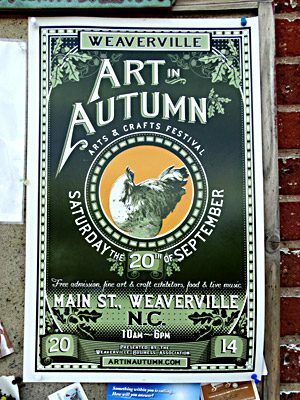 Find them at the Art in Autumn Information Booth, located in front of Weaverville Drug Company on Main Street. A limited number of shirts and posters from previous festivals may also be available. T-shirts from past festivals can be found at Curtis Wright Outfitters throughout the year.